Photo by R.A. Romanes. Displayed at the Saute Nacooche Cultural Center. A surprising treat that will delight our taste buds.. This bluegrass band project started by Jason C. Waller. A group of City Slickers tippin their hats to the old sounds and exploring new territories. Learn about the pottery making process. Kids will be able to paint their own pottery fish magnet and take it home. ...a nice couple in Georgia decided to create a pottery store as a retirement project. They found the old Grandpa Watts gristmill had been closed due to flood damage or "high waters." They acquired the property, repaired the buildings, set up their studio, remodeled the upstairs into an apartment and opened up Mark of the Potter in 1969. … we continue to create family traditions! At Mark of the Potter you will experience the intersection of art and nature where local artists produce and sell American made functional pottery. History lives on in this 1930's corn grinding mill that overlooks the Soque River where our "giant" pet trout happily await a feeding from our clients. Original mills along the Soque River were built as early as the 1820’s. In 1928 Robert Watts and his father Allen “Grandpa” Watts purchased the Hill’s Mill property. Grandpa Watt’s knowledge of building and milling proved to be invaluable in the construction of the Watts’ Mill on our current location. This was all during the Depression when times were very lean for everyone. About the only businesses around, so they say, were moonshining and a little saw milling. Although wood sold slowly, the grists mills seemed to grind on steadily. 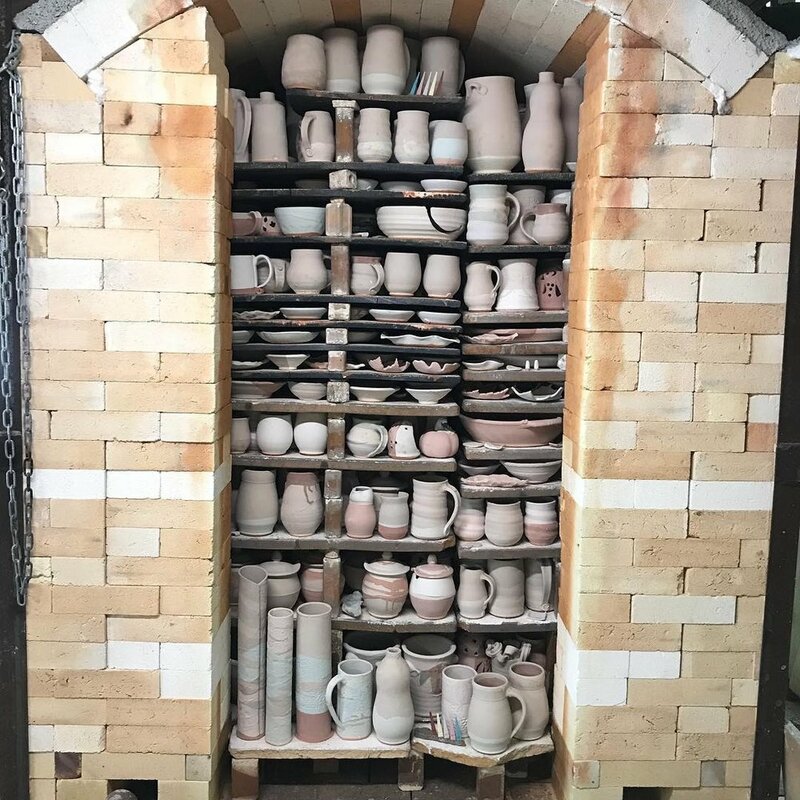 For nearly 50 years now our potters have been creating one of kind, unique, and functional pottery pieces. Each handmade piece carrying the individual signature, “mark,” of the potter that creates it.